Tiny satellites called CubeSats have attracted a lot of attention in recent years. Besides allowing researchers to test new technologies, their relative simplicity also offers hands-on training to early-career engineers. A CubeSat recently deployed from the International Space Station is a key example of their potential, experimenting with CubeSats applied to astronomy. 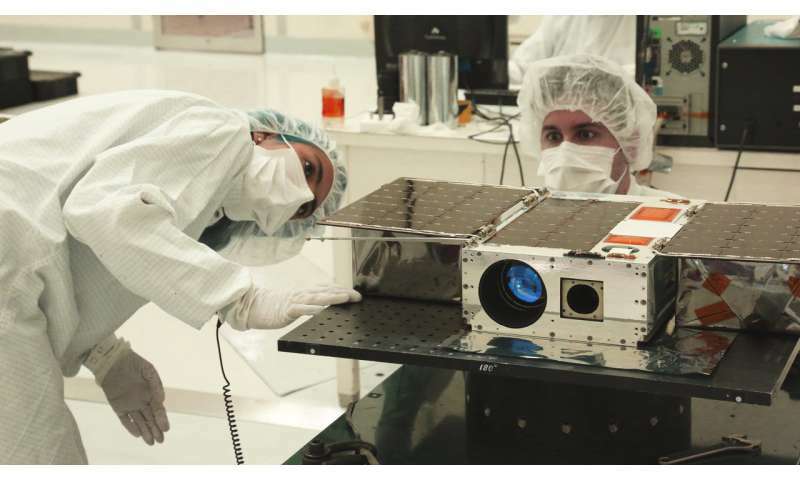 For the next few months, a technology demonstration called ASTERIA (Arcsecond Space Telescope Enabling Research in Astrophysics) will test whether a CubeSat can perform precise measurements of change in a star's light. This fluctuation is useful for a number of commercial and astrophysics applications, including the discovery and study of planets outside of our solar system, known as exoplanets. ASTERIA was developed under the Phaeton Program at NASA's Jet Propulsion Laboratory in Pasadena, California. Phaeton was developed to provide early-career hires, under the guidance of experienced mentors, with the challenges of a flight project. ASTERIA is a collaboration with the Massachusetts Institute of Technology in Cambridge; MIT's Sara Seager is principal investigator on the project. ASTERIA relies on precision photometry, a field that measures the flux, or intensity, of an object's light. To be useful to any scientist, a space telescope has to correct for internal sources of error while making these measurements. Engineers have learned to correct for "noise" in much larger space telescopes. If they were able to do the same for CubeSats, it could open an entirely new class of astronomy tools. "CubeSats offer a relatively inexpensive means to test new technologies," said Amanda Donner of JPL, mission assurance manager for ASTERIA. "The modular design of CubeSats also makes them customizable, giving even a small group of researchers and students access to space." She said it's even possible for constellations of these CubeSats to work in concert, covering more of the cosmos at one time. Its small size requires ASTERIA to have unique engineering characteristics. A steady astronomy camera will keep the telescope locked on a specific star for up to 20 minutes continuously as the spacecraft orbits Earth. An active thermal control system will stabilize temperatures within the tiny telescope while in Earth's shadow. This helps to minimize "noise" caused by shifting temperatures - essential when the measurement is trying to detect slight variations in the target star's light. Both technologies proved challenging to miniaturize. "One of the biggest engineering challenges has been fitting the pointing and thermal control electronics into such a small package," said JPL's Matthew Smith, ASTERIA's lead systems engineer and mission manager. "Typically, those components alone are larger than our entire spacecraft. Now that we've miniaturized the technology for ASTERIA, it can be applied to other CubeSats or small instruments." Though it's only a technology demonstration, ASTERIA might point the way to future CubeSats useful to astronomy. That's impressive, especially considering it was effectively a training project: many team members only graduated from college within the last five years, Donner said. "We designed, built, tested and delivered ASTERIA, and now we're flying it," she said. "JPL takes the training approach of learning-by-doing seriously." Isn't this similar to Canadas MOST satellite? "The MOST microsatellite has made a major astronomical discovery. The small space telescope has revealed that the star Procyon does not oscillate. This contradicts previous observations made from Earth-based telescopes. The discovery suggests that long-held theories on the formation and aging of the Sun and other stars need to be reconsidered." 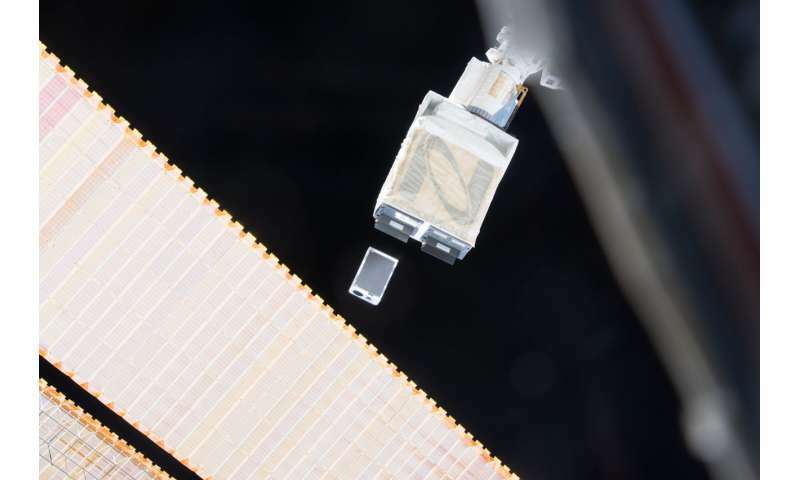 These micro-satellites apparently aren't equipped with de-orbiting capabilities that would remove them from orbit at the end of their design life. Therefore, while it is admirable what they might accomplish during their active mission, what they might accomplish as space junk after that mission might be best thought out before we go much farther.